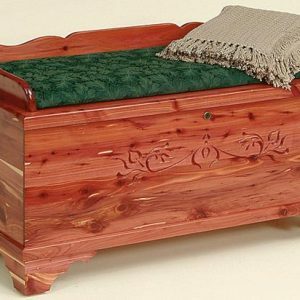 Two thousand nine hundred years ago, King Solomon chose cedar for the first temple to the Lord for the Children of Israel. Centuries later Louis XIV, the grand monarch of France, chose cedar wood for one of the great Versailles gateways. 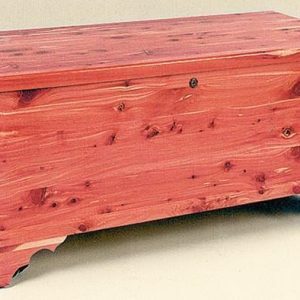 Pioneers on our own soil used red cedar for their log cabins. Later they employed it’s beauty in their large houses. 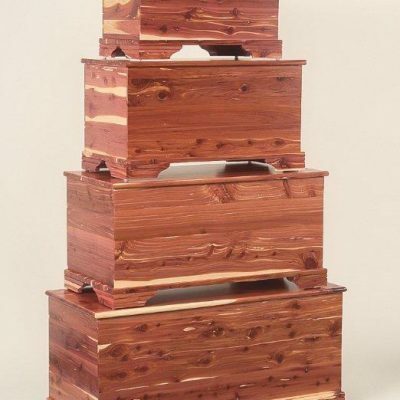 Superb for the classic majesty, the Tennessee Aromatic Cedar we use in our chests, continues to offer a romantic narrative in silent but nonetheless, notable service. 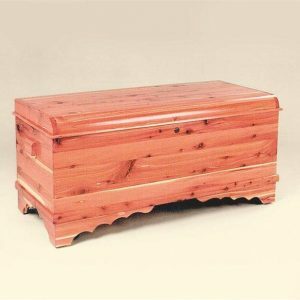 Whether made entirely of cedar, there is no better place to store your heirloom bedding and family treasures than in our handmade blanket chests. 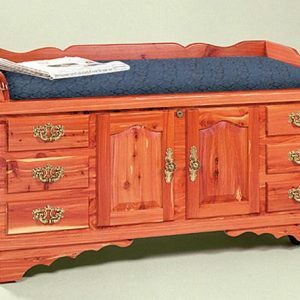 Each chest is destined to be an heirloom for heirlooms.